Credit: By Coffee Lover on Flickr. Some rights reserved. 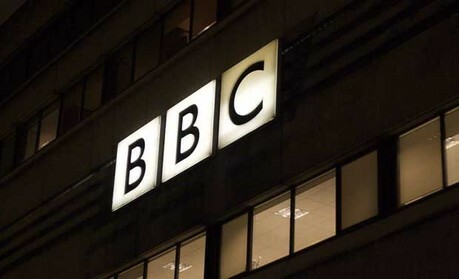 The head of the BBC newsroom has said that trust in the BBC is back to where it was before the Jimmy Savile crisis. Mary Hockaday told today's Polis conference, which is all about trust in journalism, that the BBC has restored trust in the corporation. She defended the BBC management, denying that "the BBC was drifting". "The last few months have been difficult but most people in news have got on with doing their jobs," she said. The Pollard report into the BBC's Savile inquiry was critical of the BBC management structure but Hockaday said the quality of senior staff was "extremely high". "What went on last autumn was a failure of management ... but overall I see a high quality of management," she said. Hockaday said the BBC is "not too big", following suggestions that a smaller organisation would be better managed. "I'm not sure that size was much of a contributing factor." She also used the keynote interview to talk about the advantages of BBC journalists being based together in New Broadcasting House. She refuted suggestions that bringing teams together led to a lack of diversity in reporting. Touching on the changing nature of journalism, she discussed trust in reporting and newsgathering using social media. "We've always seen our job as being fast," she said. "And Twitter is just another platform in doing that." Twitter is just like any other live content in that it must be delivered accurately, Hockaday said. "What is new is speed and volume." She said the BBC treats social media sources as they have always treated sources of information, and has a team verifying content.